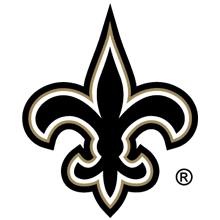 Get the latest New Orleans Saints offers! Where can you buy New Orleans Saints tickets and get a pregame field pass to go along with it? Right here at PRIMESPORT. The Saints have partnered up with the sports travel industry leader to offer black and gold fans the chance to see the game as the players do -- from field level. Catch your favorite Saints players during their pregame warm-ups for any home game on the 2019 Saints schedule with these exclusive New Orleans Saints ticket packages courtesy of PRIMESPORT. If you need a more complete package for a Saints game, we have our Official New Orleans Saints hotel packages. For Saints fans across the country looking to take a vacation to The Big Easy for a game, we have home game travel packages that include hotel accommodations, Saints tickets, pregame field pass, and souvenir. PRIMESPORT is the Official Fan Travel Partner of the New Orleans Saints. The terms NFL® and Super Bowl® are trademarks of the National Football League. PRIMESPORT is a division of On Location Experiences.